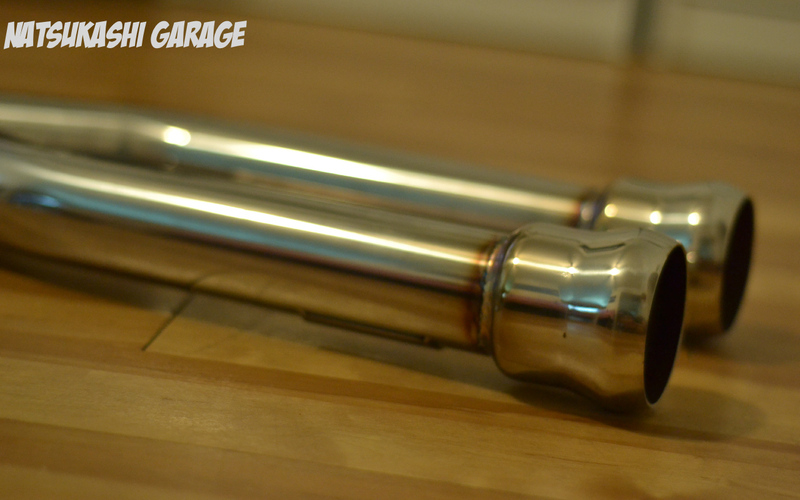 While browsing Yahoo Japan, I came across a unique find… Car Shop Glow X pipe for the E9x M3. If you don’t know what Car Shop Glow is; they are high end Japanese brand known for their unique style LED lights in the RX-7, Supra, NSX and other 90s and early 2000 Japanese cars . Car Shop Glow is now more known in the USA, thanks to Mayday Garage. I first saw Car Shop Glow LED lights at StanceNation Dallas last year. The Mayday Garage booth broke everyone necks and seemed like if you were a somebody you had to have it. Nice marketing. 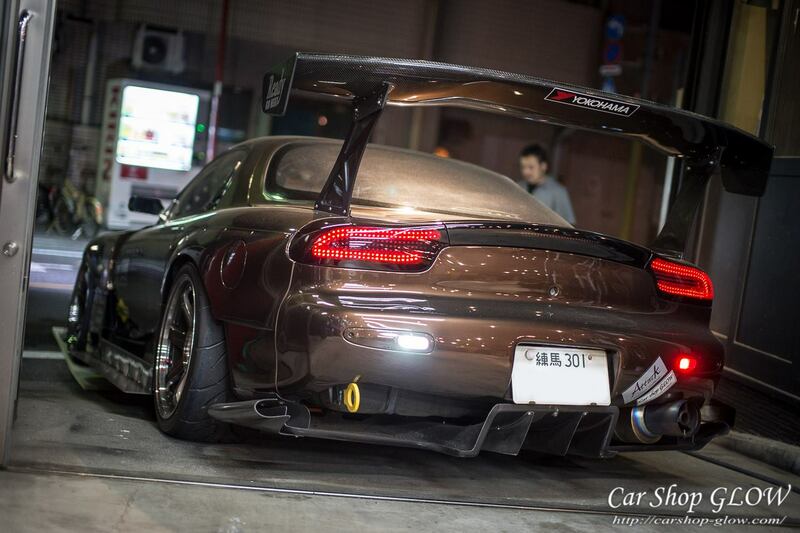 High quality custom car & parts. I’m probably sure they make one off LED lights for customers who want to stand out from the rest, because my friend had a set made for his TSX. It like that saying, “if you can imagine it, they can build it,” or something in that context. Now back to the x-pipe. 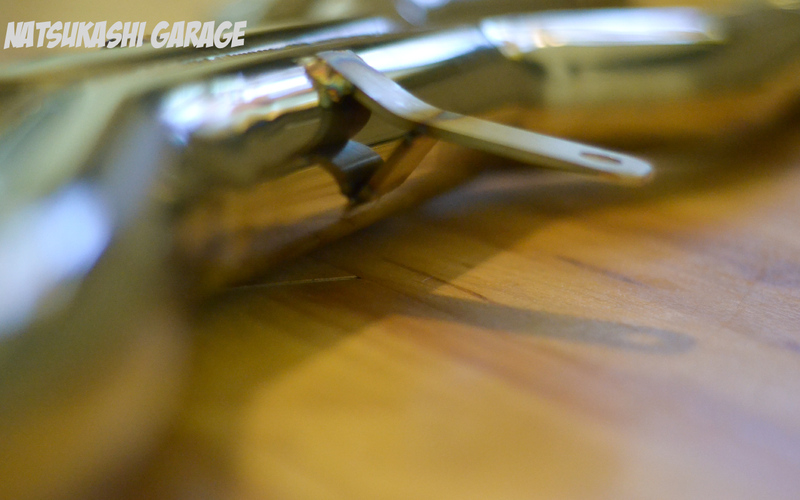 Seeing the hand made quality from Car Shop Glow LEDs, I knew any product they make will be just as good. The problem was the information is in Japanese, and yes Google translate helped me piece together the English translation, but I wouldn’t trust it too much. With that dilemma, I contacted David from Final From USA and Mayday Garage, which are the distributors for Car Shop Glow in the USA, to inquire about the x pipe. David was pretty fast on replying and great customer service. Within a week of ordering, I received my X-pipe from Japan! During the unboxing, the package was well wrapped with layers of bubble wrap, ensuring nothing was damaged during its flight over seas. 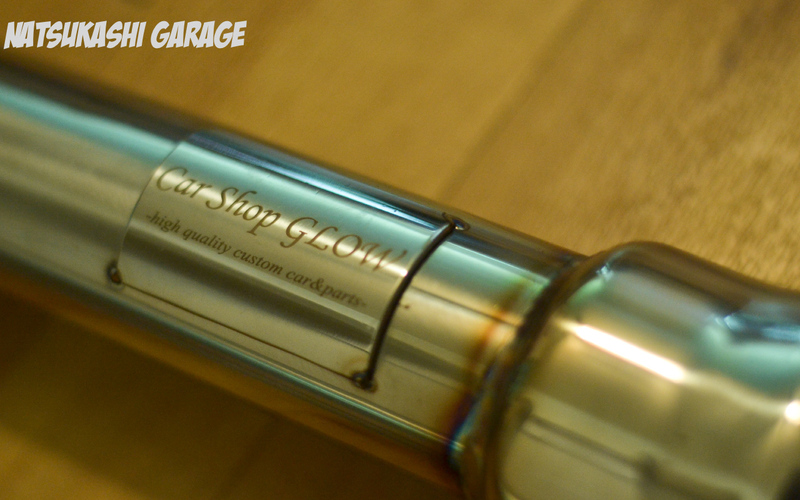 The Car Shop Glow x-pipe is hand made which adds a personal touch. 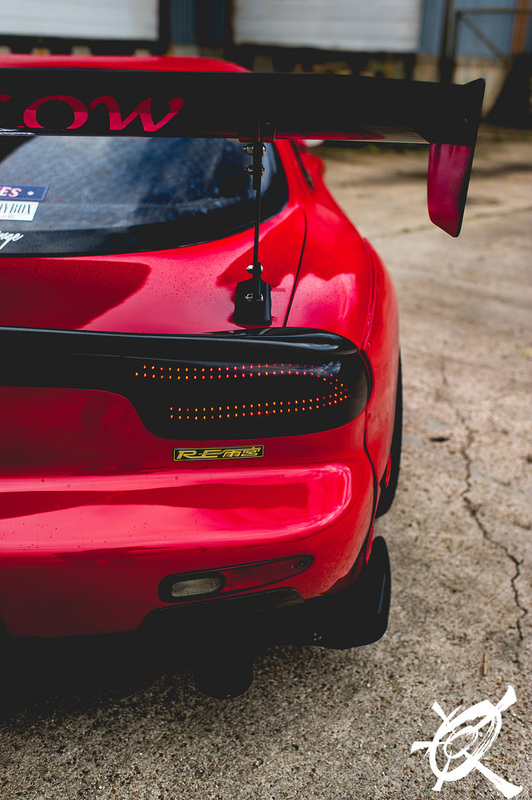 I’ve noticed Japanese people are striving for perfection and take pride in their craft, its just the culture. Have seen “Jiro Dreams of Sushi” on Netflix? If not, you need to watch it now to understand what Im talking about. 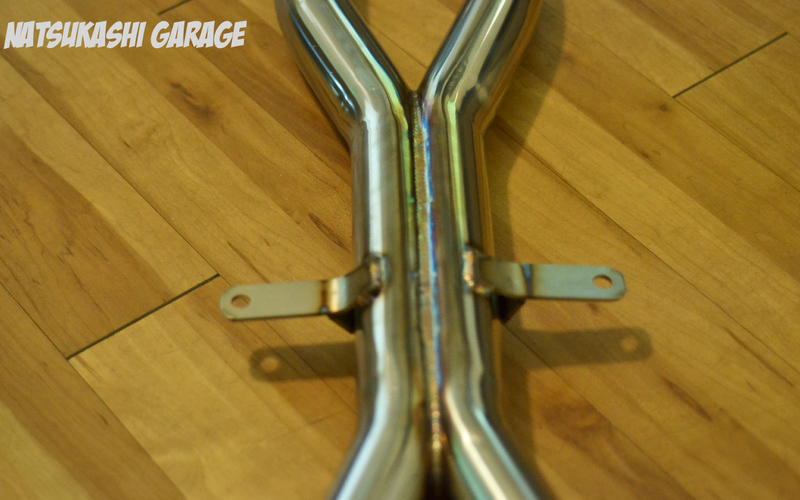 The handmade welds are clean and neat. No eBay cheapness here, or robots doing the work. 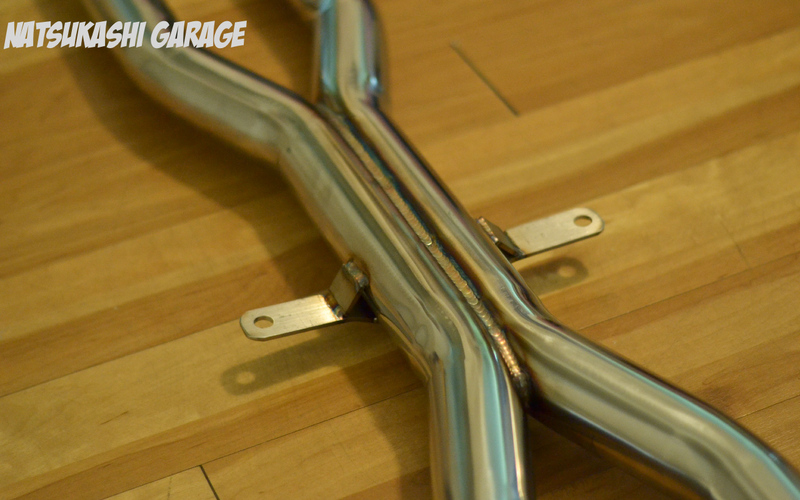 The Car Shop Glow x pipe is unresonated for better flow. 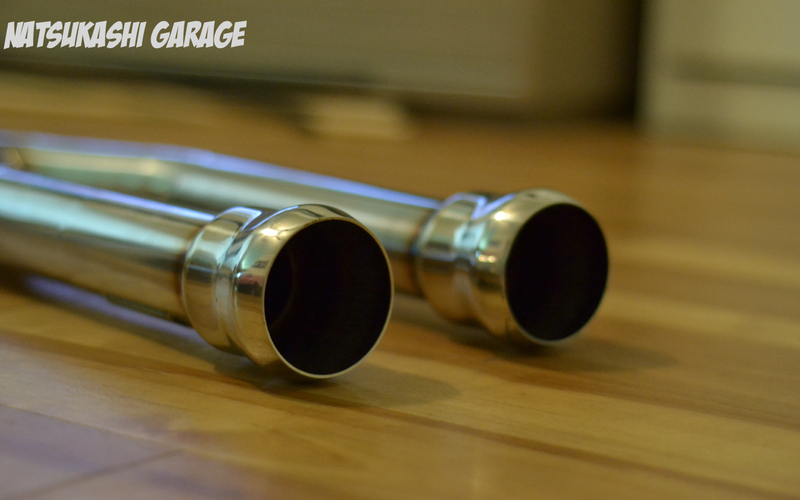 Yeah there are companies that offers x pipe with resonators to alter the sound, but I like the untamed sound of straight pipe especially with V8 motors. 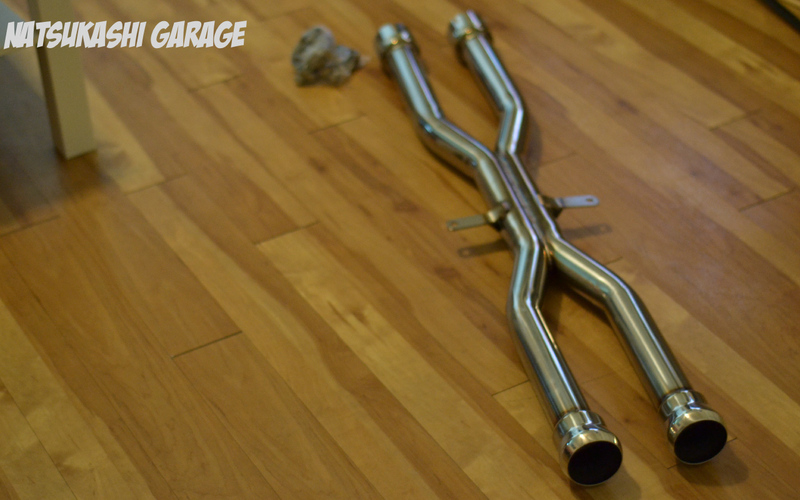 Besides why add resonotors when its just going to add weight, and speaking of weight…. 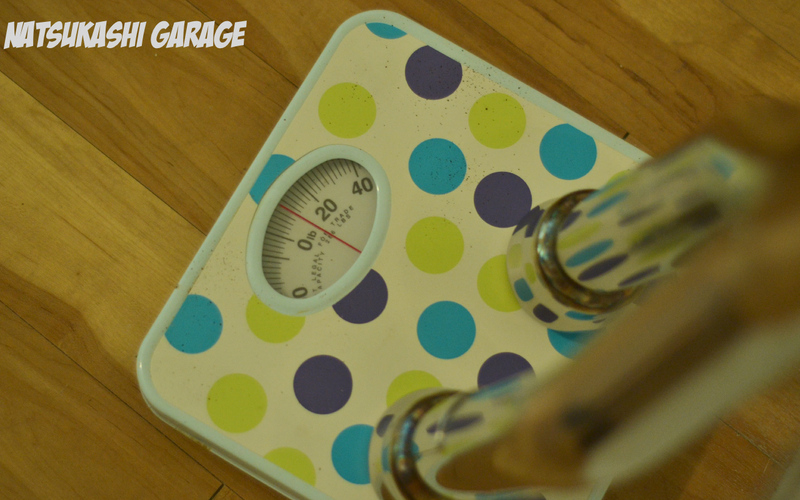 If you ignore my girly design of my analog weighing scale, it only weights 10lbs!! Every ounce counts when dieting. 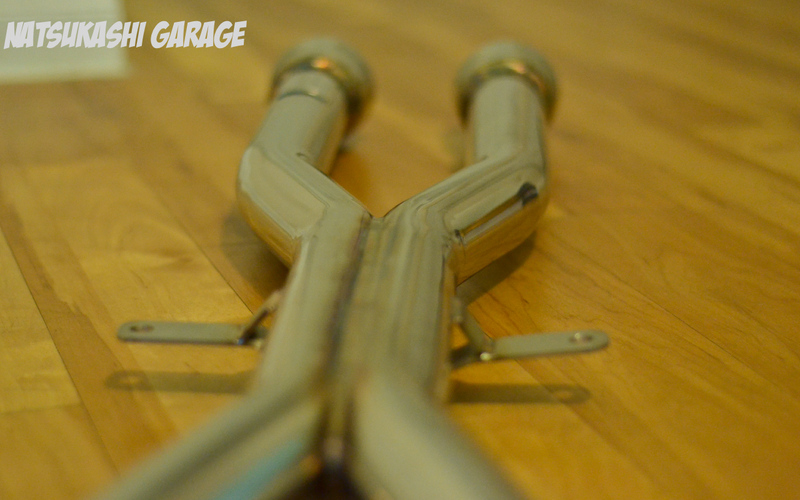 Another thing thats different from most other x-pipes is the design. 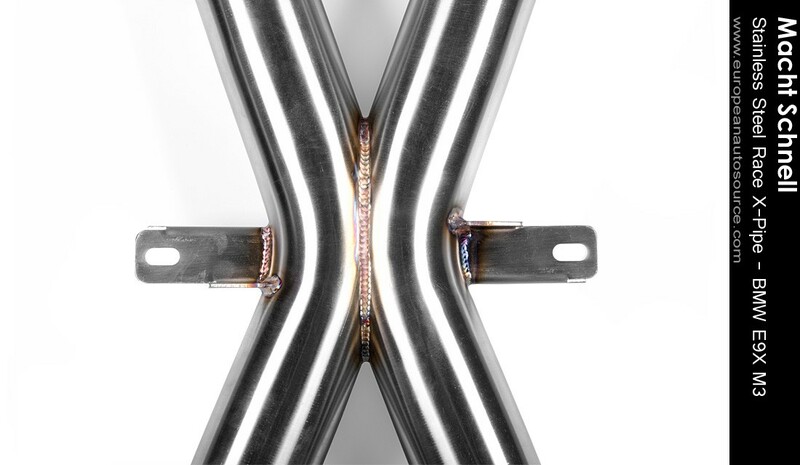 The crossover pipe (center part) is longer than most crossover pipes for the E9x M3. As you can see the Car Shop Glow cross over section is longer than the Macht Schinell crossover section. Im not a engineer or have extensive knowledge with exhaust systems. 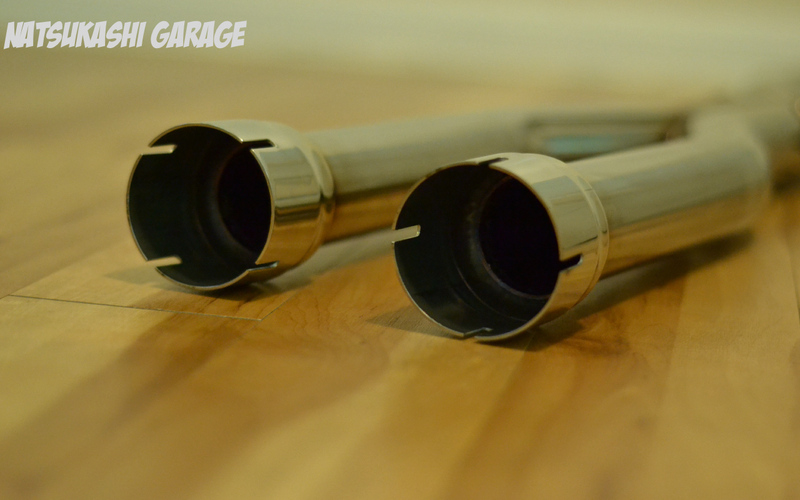 But I do know with V8 motors, the design of x-pipe you get changes the sound frequency. Now, I don’t know how a longer cross over section will sound but Im interested to find out…. You just have to stay tuned.